cherry spindle and solid rustic cherry slab base. The Stock Farm Table version #2 with solid rustic walnut slab base. The Stock Farm Table version #3 with a rustic cherry crotch slab top and walnut hand turned spindle legs. 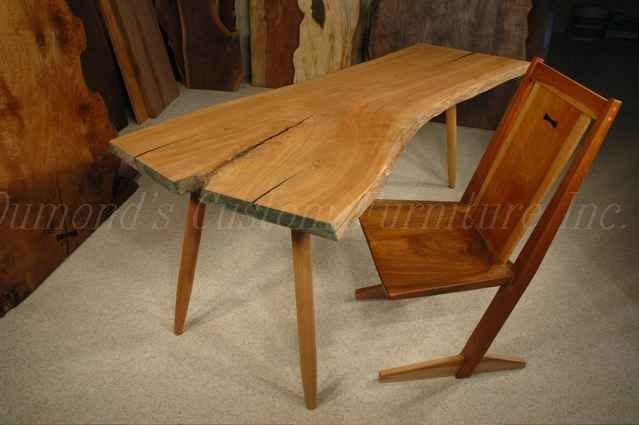 The Stock Farm Table version #4 with a rustic cherry crotch slab top and SMALL diameter cherry hand turned spindle legs. 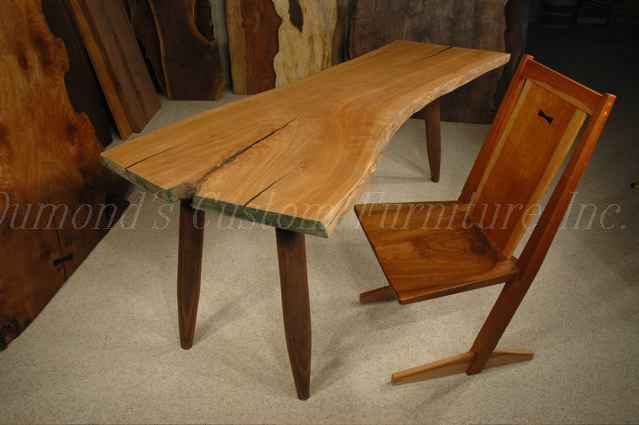 The Stock Farm Table version #5 with a rustic cherry slab top and LARGE diameter cherry hand turned spindle legs. The Stock Farm Table version #6 with a rustic slab top and curly maple chest of drawers and cherry hand turned spindle leg.